How to decorate kitchen counter. I was wondering if you can help me decide where the microwave oven should go? I also have a little fish tank utensil holder, coffee pot, and toaster. I've posted pics with my belongings the pictures. If you can think of anything to make it look nice, please let me know. My kitchen design is wine and grapes. I also have a island in the middle. This is a trailer home so it goes all the way around. Thank you for your help. I want my counter tops look nice. 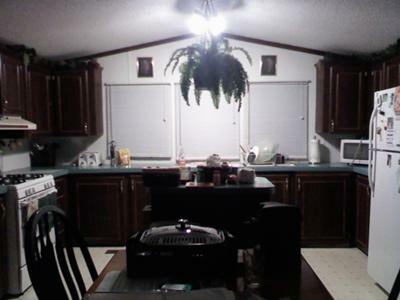 Comments for How to decorate kitchen counter. I love your kitchen. It seems big and open which is a huge plus. Okay, how to go about organizing the counter space. Organize by function. In other words, where are you going to most likely use the microwave? Will you use it to heat things as you pull them from the refrigerator? If so, then it's fine where it is at, or a bit closer to the fridge. 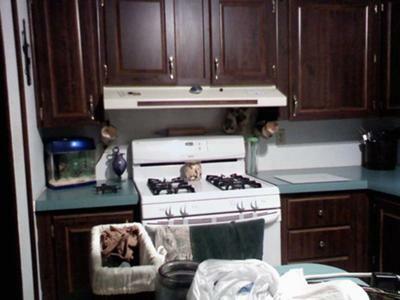 As for the fish tank, I'd move it away from the stove, don't want to cook the fish. The utensil holder goes where your going to need to grab utensils quickly. Mine is right by the stove. Coffee pot is going to go where it's most functional for your kitchen. Same with the toaster... typically close to where you keep the bread. 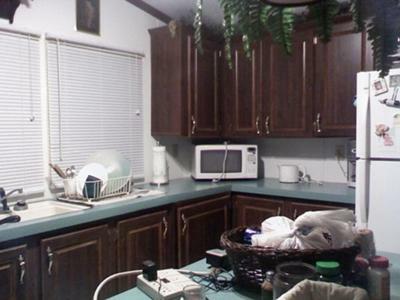 My mom used to complain about my kitchen when I first moved out. She said it was organized like a 'new bride's'. Well, I was a new bride, but what she meant was that I was creating a lot more work for myself by walking to and from here and there when I could have had a nice tightly organized kitchen if I had taken the time to think about how I used my kitchen. 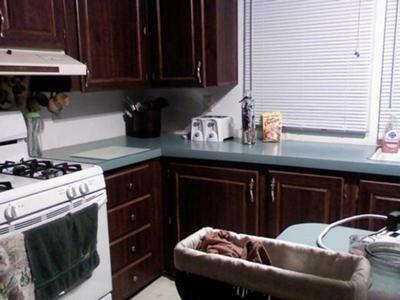 So, take some time, think about how you use your kitchen and organize around that. For instance, for stuff I use everyday like plates, I like to keep in readily accessible cabinets. For baking pans I don't use very often, I keep in up and out of the way cabinets.